Add some fauna to your garden or pick up a few indoor plants. It’s always good to add some green to your home. Shop for plants, pots, other gardening supplies and also some statues off Pimple Saudagar bridge. 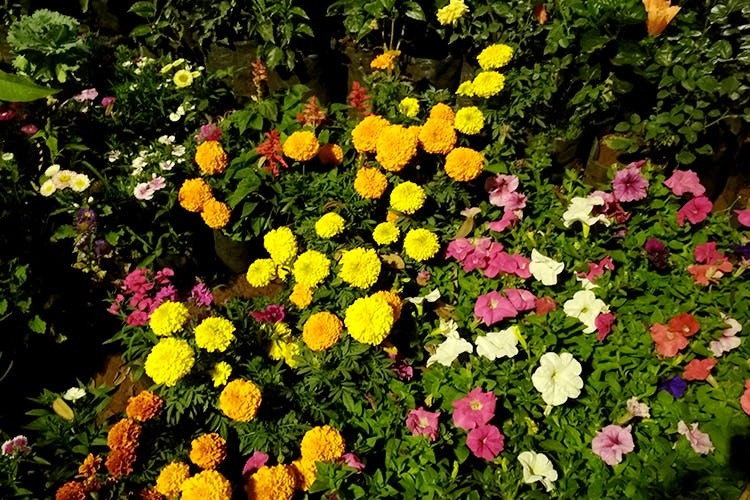 Take the bridge that connects Pimple Saudagar to Pimpri Gaon, just off the bridge, along the service road, you’ll see a stretch of multiple nurseries selling various items for your home and garden. If you’re someone who loves gardening and finds it therapeutic, this will surely feel like your go-to spot. Whether you’re shopping for flowering plants starting at INR 150. If you can’t keep a plant alive but love having some around, either way, shop for little cacti and succulents starting at INR 150. You can also chat up the owner there and get more information on how to maintain the plant well. And, don’t forget to pick up fertilisers, pesticides and soil here too. To plant, get clay pots that have been painted or you can opt for the plain ones. Small planters start at INR 50, and larger pots start at INR 200. There’s other garden or porch decor you can shop for too. Tribal faces, earthen wind chimes, earthen lamps, Buddha and other statues that’ll look good sitting on your porch, out in the garden or even indoors. The price for each item varies, but if you bargain well, you’ll get a good deal. Some nurseries also have clay bottles and water pots to keep the water cool. These will be helpful through the summer. You can paint them yourself, or get a painted one. The bottles start at INR 100, but it’s best to bargain. It’s a big stretch, which gives you a good chance at scouting all the nurseries and getting the best deal on everything you want to buy.